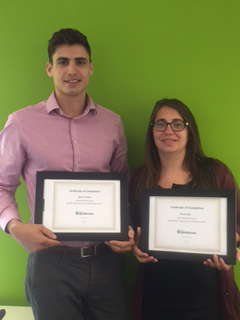 Last month Glen and Fiona completed a training course on Quickbooks - the online accounting software. Glen said "The course was for basic certification and I think we will be looking to take the advanced course in the near future". He went on to explain "The course was a good insight into how we can assist clients get started on QuickBooks. From helping them set up business bank feeds direct into the software and run simple reports as well as day-to-day use and entries." If you need help getting started on Quickbooks why not give us a call on 01603 666132.